Devotion to purebred dogs and their continued value to people of all nationalities is a uniting force irrespective of ISIS politics, religion, or cultural differences. The recent bombings in Brussels, Belgium have some of us dusting off our memories and files on Islam, so I’d like to again emphasize that there are two or more aspects of that religious culture. Some non-Muslims see only the violence or extremism, partly because in the 21st Century, only the “bad” ones make news and partly because most people do not travel widely or circulate locally among people of that identification. 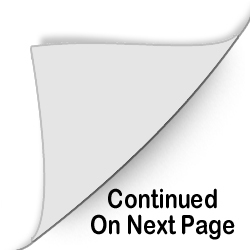 TV news, websites, and e-messages are filled with examples of their knifings, bombings, migrant rapes, murders, and other violence deplored by civilized people. One result of our unbalanced national media where the maxim seems to be “The only news is bad news” is that all Muslims are painted with the same brush. But that picture is largely because those Muslims who are dedicated to peace, co-existence, respect, and tolerance have mostly remained silent while the murderous Muslims make the headlines. 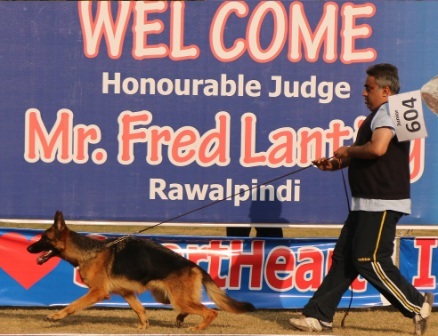 That said, it was an honor and pleasure to return to Pakistan to judge a big German Shepherd Dog specialty show again, as a guest of the GSD Club of Pakistan and the Rottweiler Club. I also took part in the all-breed dog show the following day, where I saw GSDs that had not been entered in Saturday’s show. 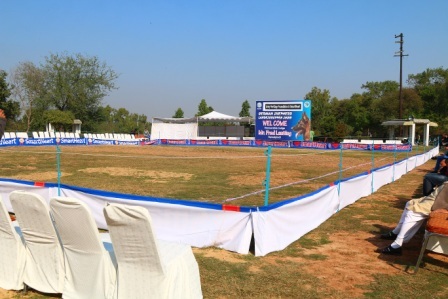 First, a word about the venue. There are two “twin cities” in the far north of the country, situated between the Afghanistan border and Peshawar on the west, Tibet and India on the east, and Tajikistan and China to the north. 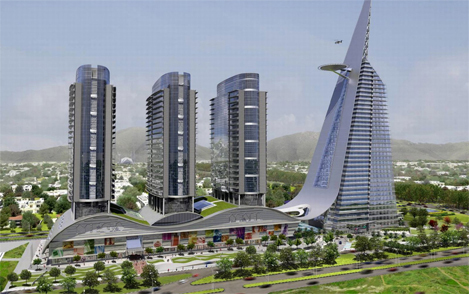 The nation’s capital is Islamabad (pictured above), a city of well more than 2 million, including 680,000 voters. On its southern edge, the twin city of Rawalpindi (where are found the Islamabad airport, the military’s gigantic HQ, and the Ayub National Park site of my dog shows) has a population of about 2 million also, making this complex the third-largest after Karachi and Lahore which are many hours’ drive southward. Elevation is around 1700-1800 feet, but just north, the Himalayas’ Margala foothills take you up into much cooler elevations where you could get a nice view of the national capital were it not for air pollution and humidity. On one of my “off-duty” days, I was treated to such a trip up the mountain for cool breezes, tea, and local culinary treats. On other days, I consulted with local veterinarians who were very interested in hip dysplasia control, and did a little sightseeing. When not judging, visiting, or sightseeing, I enjoyed the Olympic pool and other facilities of the Islamabad Club, a very posh, huge, and “colonial” estate. 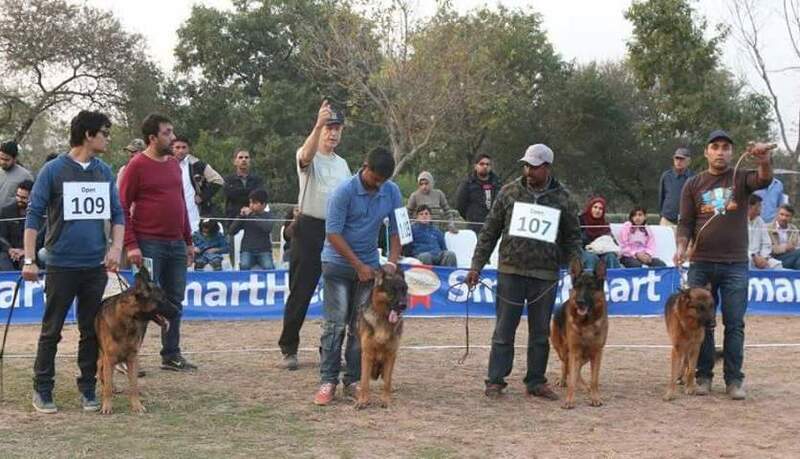 The assignment was set up by the two dog clubs, but the show was sponsored by the Pakistan Army, which controls the grounds of the Park. Other than the military and the national government, the area’s main business is textiles, but I found it very interesting that this tea-drinking, sober Muslim country’s only brewery is also here. Second, a word about safety. The official U.S. Department of State “Travel Warning” urged me to let the embassy know where I would be while at the same time indicating they would not (or could not?) be able to do anything if I were in danger. But as the invitee (partly) of the Army, I was in good hands. In addition, the Islamic tradition is strong in respect to hospitality—if you are a guest in their care, you are honored and protected as if a member of the family. What much of the West sees as murderous Muslim ISIS types are the religion-and-culture extremists—not the average inhabitant, whether he be very traditional or more modern, devout or religiously casual. As the immense perfectly groomed judging rings awaited the arrival of dog-loving proud exhibitors who are the same in every country I visit, I regret the foolish rhetoric of Trump types painting everyone into a single category. That may win primary election votes but it hurts the causes of truth and peace. This country has nearly zero ISIS fighters per million inhabitants compared to 40 for Belgium, over 30 for Sweden, 300 for Jordan. Of course, hatred and violence can erupt anywhere, anytime, but it is ironic that while I was perfectly safe in Pakistan, two Pakistani-Americans in San Bernardino, California unleashed an ISIS terrorist attack (a mass shooting and attempted bombing), killing 14 people. Significantly, the victims, attending a training event and holiday party, were in a community and state where law-abiding citizens are prohibited from being armed to protect themselves from just such a tragedy. That incident strengthened my belief that sane, screened citizens should have both the right and responsibility to carry firearms if they feel it appropriate to protect their friends and families. Such irony as my safety in Pakistan vs. the danger in California is totally lost, wasted, on people like my daughter-in-law who gave me a very hard time before I left for Pakistan. Like many others, she is a Christian, but perhaps was not thinking of personally obeying God’s command to go into all the world with the Gospel.